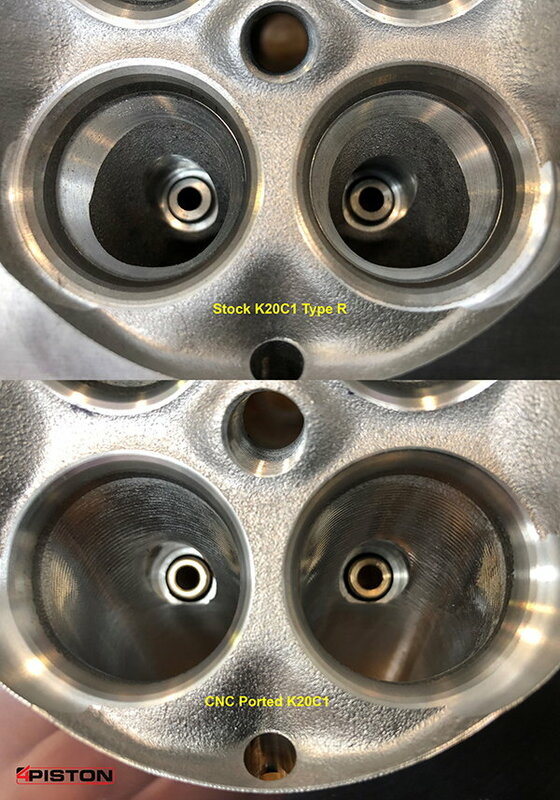 K20C1 Type R Engine in S2K? ^^^ Well I realize its fun to pick things apart and be logical and practical, but keep in mind the mere act of owning a sports car at all is an impractical and illogical practice Mr. Spock. So you must allow some room for unnecessary fun. For what its worth I can tell the difference in 10% power for sure, and more is better in my world so. 10% is the difference between a 35F and 90F day. I doubt you can feel the difference. But that not a big issue. Everyone gets to spend their time and money as they please, and I'm sure I spent tens of thousands over the year on parts and equipment that didn't return any benefit. If I wanted a track day S2000, after safety equipment including a containment seat, 7pt belts, and a probably a fire system, I'd go with the Wisefab suspension and the biggest rubber that could be made to fit, probably 315/30-18 which is available in A7, R7, R1S, and A052 tires. That would probably need a Salsbury diff such as the OS Giken because the inside rear would probably lift. The two cars on this forum with A7 tires that size have the OS Giken diff. Adding 10% power would not be on my list. My only response is the 2 s2000 cars I have track driven on Florida tracks seem to have multiple corners where 2nd gear gets you a redline at the wrong time (apex) and 3rd gear entry leaves you waiting....wanting....wishing..... for that vtec. Turn 6&7 at Homestead for example are brutal. I realize dropping VTEC helps but I also recall the huge difference final drive gear change made on my k20. Personally I am probably too cheap these days (why I race a NA chassis Miata). but I enjoy learning. In many cases, the rev range can be stretched. The K-series/F-series bottom end should probably handle 10k as long as the oil system can keep up. Lighter pistons and stronger rods would help, but the OEM is probably enough. It is the top end where the limits will come. Here titanium retainers, stiffer springs (or better, conical springs), and maybe stronger valves (dropped valve head is often/usually a destroyed motor). Just stretching it 500rpm every now and then should be no problem if the valve train can keep up. Not that OEM K-series oil pumps are weaker and need to be modified or replaced. There will be more revs but without more cam/porting/etc it will be running out of breath. Sidebar: the oil pump is a major limiting factor on the 2JZ-GTE. And the dry sump pumps often don't fit with A/C and/or power steering. That engine's cylinder head flows much worse than the F/K series and its flat tappet cam with small for DOHC lifter diameter don't allow very aggressive cam timing compared to the Honda. Note the K20C2 is a low engine speed motor (7500 redline) with VTEC only on the exhaust. Sometimes, it may be necessary to adjust the line to adapt to the characteristics of the car. For instance, carrying more speed through the turn at the expense of getting the power down later (earlier apex). Or going in slower and taking a later apex with more acceleration. I'm surprised you cant feel that difference? I absolutely can. I'm very sensitive to how the car performs, but id have to say you wouldn't have to be that sensitive to feel this difference, just present. I run 315/35/17's on the rear of my car. Still the stock diff. No wheel lift, but they are not A7, rather extreme summers. Considering moving to R comps, will see how the car behaves when/if I do. lustrated here on a test day with the joker in the cupcar in the beginning of the video. On race days it was the same thing. So with a full internal rebuild they're expecting 560hp out of this motor? The engine is also used in SCCA Formula 3 series. The 7163 can make 560hp and with [email protected] rpm, that would need about 20 psi of boost with a non-oxygenated fuel. 9100 rpm doesn't require VTEC; pushrod engines can do that. A K20/K24/F20c/F22c can turn over 11k with the right components. In the FI forum, there are a couple of standing 1/2 mile racers who turn their engines over 10k. 4Piston built a K20 for SCCA Prototype 1 class (it went into a Wolf GB08 CN) that turned over 11k. 230whp is typical for the mods I listed and of course with the lowered vtec at 3500-3600 rpm there is also no vtec kick, but a much fatter power curve. Id have to dig through to see what dynoes I have. I have 15 years worth mostly boosted, but not very well documented on what my mods were at the time. But shouldn't be hard for you to find some tuned F22 posted on this website. Yeah 260whp is very healthy and impressive. Unfortunately 2.2 liters is all we get, so without cams and ITB, 245whp is about the limit on that displacement. The guys that do the 2.4 or 2.7 stokers of course yield substantially more. just to add on to the discussion, My k20 got retuned with the RRC intake I had put on it. It now makes 248 at the wheels on 93 octane. The new owner just ran it at the Miami500 enduro and it won. That’s a k20a2- header, 3” exhaust. CAI, RRC intake, injectors and a tune with AEM. Other interesting things are their comments that the OEM rods bend over 400hp, they did their tuning with a MoTec which adds the question of what can be done with the OEM pass ODBII test ECU, the have custom pistons from Wiesco and JE that have very different dishes. They are using the JE in their short blocks/engines. The JE is listed as using a special Total Seal top ring. That would be interesting. I've long thought that FI engines without a dry sump would benefit from a gapless top ring dramatically limiting blow-by. But apparently few have gone down that path so empirical data seems minimal. The new Integra (RSX) and the S2000. Quick Reply: K20C1 Type R Engine in S2K?